NOT A FLIP! PRICED BELOW COMPS!! HUGE PRICE REDUCTION--ONE OF THE LOWEST PRICE/SF UNDER $300K, 1-STORY, 2 CAR IN ALL OF GV & IT'S REMODELED! 4 BR IN THE HEART OF GV--OPEN FLOOR PLAN--ALL NEW: INT/EXT PAINT, CARPET, BASEBOARDS, WINDOW COVERINGS, GRANITE COUNTERTOPS, STAINLESS STEEL APPL, CEILING FANS, LIGHT FIXTURES, HARDWARE, TOILETS, SINKS & SWITCH PLATES/OUTLETS--BOTH BATHRMS COMPLETELY REDONE--WASHER, DRYER, FRIDGE & GARAGE FRIDGE STAY!! 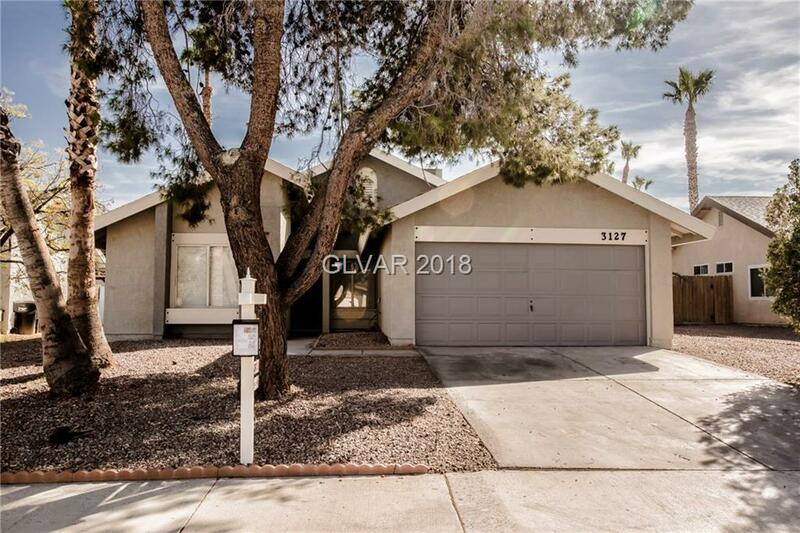 Directions: North On Green Valley Pkwy From Warm Springs--west On Lone Pine--north On Belvedere--west On Valleywood--north On Aqua Vista--west On Blossom Glen To Gorgeous Property! !